ELECFREAKS micro:bit basic kit is an entry-level kit. 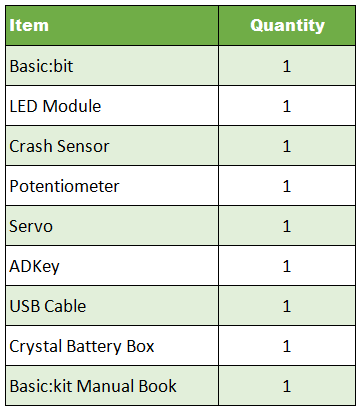 Includes 5 common electric bricks, which can be easily connected to micro:bit via basic:bit. This kit can help students learn how to build their micro:bit projects quickly. The electric bricks are driven by Makecode default blocks. You don't have to add any extra packages, which helps students get started easily.